It is such a simple story, and so well done! I have been spending a fair bit of my time lately looking at books that are particularly suited to boys. We know there are many people out there who believe that we are in the midst of a crisis...that boys don't read. I'm here to tell you that they do, if they have mentors who show them the pleasures of reading and if they have the perfect book at just the right time. The lists I am developing and long and filled with books that boys will love. We just need them to know they are out there. And so we come to this fine book about seasons, about community workers and about the pleasures of jobs well done. I call it 'faction'...it looks like a story book, and it reads like nonfiction. It chronicles events throughout the year that involve the men and women who keep our communities running smoothly. Too often they are not honored for the extremely important work that they do. In the spring workers unite to clean up the streets, using an wide array of diggers, paint trucks, wood chippers and bulldozers to fill potholes (oh boy, do they need to do that after a long and cold winter) and get the town back to beautiful before the arrival of summer visitors. Every season brings its own set of challenges. There is no rest. 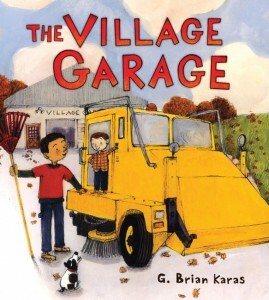 A small boy and his dog are captivated by the goings-on; the machines that help carry out needed work, the crews that work together to be happy in their jobs and the constantly changing seasons. Never a dull moment here. G Brian Karas uses gouache, acrylic and pencil to create the familiar images that expertly match the text. In a style that is familiar to his many fans, he is certain to attract the attention new young readers who will have a heyday poring over the action, as the men and machines do what needs to be done, day in and day out. do lick their lips for more. that Satan is among them. This fictionalized novel in verse is based on research done about the Salem Witch Trials in 1692, and is told in the voices of three girls who were living there at the time. Mercy Lewis is a beautiful servant in the Putnam household, hired to care for the family and admired by Ann. Ann Putnam Jr. is the daughter of the house, wanting power at a time when women were completely powerless. Margaret Walcott is Ann's cousin, jealous of Mercy's beauty and charm, intensely in love with Isaac and longing to be married. ye shall be given peine forte et dure." Watching as those they have accused are put to death, the girls begin to see what they have done. Should they tell the truth? What started as a game to get capture the attention of their community has become a witch hunt. What will they do now? The witch hunt is snuffed. This is an outstanding example of historical fiction. The characters are real people, distinct and memorable. The demanding research results in eloquent voices from the past, enduring visions of the people and their time, and a noteworthy example of the best in literature for young people. 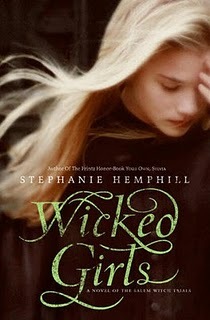 Well done, Stephanie Hemphill! Should I ever doubt that Mo Willems can keep coming up with hilarious dialogue between two of my favorite characters for little ones learning to read, just hand me his next book! Oh my, he does have the touch! When Gerald shows up with a bandage on his truck, Piggie is concerned and curious. When asked how it happened Gerald warns that it is a 'long and crazy story'. Piggie is more than ready to hear it. And so, Gerald begins. He and Hippo were playing when Gerald decided that he wanted to lift Hippo onto his trunk. Why, you ask. Um...because? Have you heard that one? 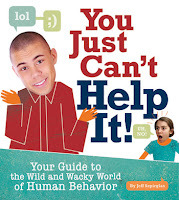 Oh boy, I can't wait to read this in classrooms and with teachers. Loved by all, and frequently requested for repeated readings, I never tire of sharing these cracking good books with anyone who wants to listen. It's such fun to create the voices, the expressive responses, and the downright awesome humor found in each one. Do I have a favorite? I have asked myself many times. I just can't pick one over the other, and eagerly anticipate a new one. 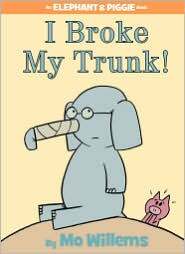 Mo Willems does not disappoint! 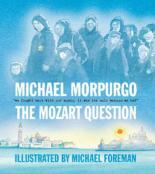 The Mozart Question, written by Michael Morpurgo and illustrated by Michael Foreman. year to persuade his to do it. Mozart question, is that clear? It's Paulo Levi's fiftieth birthday and Lesley's chance to do the interview that so many have dreamed of doing. She can't believe her great good luck. She is given instructions about the Mozart question; and tells him that she knows she cannot ask it. As they talk, it is Paulo who wants to discuss it and to tell the truth about its origin - the time for his story is now. In their home following the war, Paulo's parents have a beautiful violin that is never played. Paulo is not encouraged to study music; but he loves the violin and he wants to take lessons. Because of his determination, he arranges to take those lessons without his parents' knowledge. A chance meeting between his teacher and parents leads him to a harrowing discovery. His Jewish parents were prisoners of war, and were forced to play Mozart concerts for the enemy. They also met the trains as they carried other Jews to the concentration camps, and were made to play for them to help calm them as they were herded to their death in the gas chambers. The realization that music was their only weapon, and that it was keeping them alive while others died was almost impossible to bear. Paulo's father had only one request of his son and his music...that he not play Mozart while his father lives as it is a gruesome reminder of what happened to so many. As Lesley listens she begins to understand the true nature of the war, and the sacrifices made by so many in a time of horror and hardship. Paulo is able to share his story and to now add Mozart to the repertoire for his historic concert. Michael Morpurgo is a skilled and admirable storyteller. The poignancy of Paulo's story is palpable in every well chosen word and phrase. If you haven't read any of his other books, find time to do so. You will not regret one minute spent with his amazing characters or his remarkable tales. A picture book that I would recommend for its incredible impact in telling much the same story is The Harmonica by Tony Johnston (Charlesbridge, 2004). Beautifully told with exceptional illustrations, it is worthy of your attention. When Fredle eats chocolate, gets sick and makes the mistake of being observed by the Missus, he is quietly and gently banished to the outside. As a house mouse, Fredle has no concept of the greater world. He longs for his family and searches for a way back home; but first, he embarks on a trip that takes him into the world of the farmyard and then beyond any known environs. In the time that he is gone, he is frightened and enlightened, awed and pawed, scared, lonely and invigorated. When he finally finds his way home to the kitchen mice who are his family, he is a changed mouse. Fredle's supporting cast is quite the bunch; Sadie is the family's dog, Bardo is a field mouse with a lot of knowledge and a willingness to share it incessantly, and the raccoons are a rambunctious, rowdy lot who threaten and bully. They are also very funny, and recognizable in human form. The emotions are strong and heartfelt. The adventure is full of twists and turns, suspense and blessing. "He thought: Mice don't know everything. He thought: Some of the rules are wrong. OK, maybe not wrong so much as unnecessary. Not all the rules, and maybe not wrong for all mice, but definitely wrong for some. That cheered him up. Another cheering thought was other creatures had some good ideas, and he already knew some of them." Life on the outside had come with its share of terror and uncertainty but it also held beauty and wonder. Fredle knew what he had to do! first level was almost complete. It's unusual that I have read two books about children afflicted by polio in the last few months. Both books had a profound effect on me, for very different reasons. In this one we meet Georgie Mason, an 11 year old living in Indiana in the summer of 1952. Georgie has an odd fascination with polio because the scare that accompanies the outbreak has resulted in her 'boring' life...no public places in the summer when the spread of the virus is uppermost in many people's minds. Georgie has done her reading and watches the paper daily for statistic updates. When Georgie realizes their new neighbors have a daughter who lives in an iron lung, she is fascinated. Phyllis is beautiful, and lonely. She encourages Georgie to visit often. Georgie is clearly intrigued by the world that surrounds Phyllis...a wheezing beast that keeps her breathing, round the clock care and new contraptions designed by her father to make her life easier and more 'normal'. Phyllis is very interested in the 'small worlds' that are Georgie's hobby and she encourages her to bring them over. Georgie is enamored of the glamorous girl and encourages her older brother Emmett to visit, too. Emmett is only interested in telescopes and basketball. His sister would love for that to change. Soon Emmett is spending a lot of time with Phyllis and they are leaving his little sister out. It isn't long before Georgie becomes uncomfortable with Phyllis' controlling ways and her abrupt, rude treatment of her parents and caregivers. As Phyllis and Emmett spend more and more time together, Georgie begins to notice some unnerving behavior. She questions whether it is just jealousy rearing its ugly head, or something more sinister. Why does Phyllis want Emmett? What are her motives? Kathryn Lasky handles the topic with great care; her story leaves its readers with more questions than answers, and a better understanding of the ravages of polio for those who lived with it. She also honestly depicts the many uncertainties of adolescence. While Georgie basks in the attention paid to her by the beautiful, older Phyllis, she becomes aware of the many tough questions concerning life, love and happiness as well as dealing with unlikely friendships, parents and the 'it' girls at her school. of fish, porpoises and whales. First we must understand why wind moves across the surface of the earth. This informed author even helps me to recognize this. He then moves on to explain how a wind vane helps us determine the direction of the wind and how we measure wind force and speed, using the Beauport Scale. With me so far??? 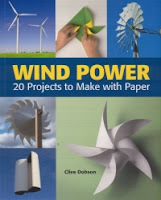 Dobson provides a detailed and attention-grabbing short history of wind power. The illustrations that accompany this section are very helpful. While the turbines that are in use today are becoming more popular and visible, they differ from the earliest windmills which were made of wood or animal hides. Wind power was used in areas where there was no available water to operate a water mill. As the designs changed varied mills were in use. All this design work led to the development of the three blade turbines that we are used to seeing today. Before telling his audience about the 20 designs and needed materials, he provides the scientific data needed to understand harnessing the power of the wind and discusses both vertical and horizontal axis turbines and their most obvious differences. It is the reason that he researched and wrote this book...'to help further an interest in the development of small wind devices' that might be used in homes. He then proceeds to give directions for building thirteen horizontal and seven vertical axis turbines that will produce wind power. There are even directions for three other windmills that help readers understand the difficulties faced by design engineers. The directions are clear, the illustrations most helpful and interested young scientists will be thrilled with the opportunity to create something that may impact a move toward a more sustainable lifestyle. He follows it all up with a glossary to help with unfamiliar terms, a list of resources for further learning and an index. Now, go give it a try! As kids and families in North America face an epidemic in obesity and diabetes, the time has come to learn more about what got us here. It is important that our society and governments recognize how the medical and financial toll for this epidemic will shape our future. We need to be in this together. While other parts of the world face starvation and malnutrition, we overconsume junk food. And, can we really call it food? "Factory farms can house 250,000 animals at a time and are designed to save money. Because disease spreads easily in such crowded conditions, antibiotics are regularly fed to the animals whether they are sick or not. None go outside. Most have no bedding. Their waste pollutes land and water. But the world wants meat - and most people don't want to pay much for that meat." It's not a pretty picture. Her careful research and sensitive, honest writing brings some of the world's real food issues to her readers. She presents them in honest and accessible bits of information that are accompanied by clear captioned photos. We don't know how our future will be compromised by some of the farming practices that are being used today. Animals are being mistreated and livestock production has a huge impact in terms of greenhouse gases and global warming. But, there are viable alternatives. Jan Thornhill offers hope and options for those who want to make a difference in the world today. We can reduce the amount of meat we eat, buy from local farmers, and learn more about cooking our own meals. Each of those things can have a personal and global effect. This book is a wake-up call for each one of us. welfare, the environment, world hunger, and their own health, are choosing to be flexitarians - occasional meat eaters. If everyone went meatless for just one day a week, each year we would save massive amounts of fuel, water, and grain, and we'd also prevent the release of millions of tons of greenhouse gases!" 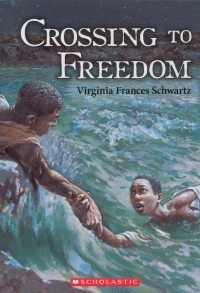 This fine book was written as a result of the many questions that Virginia Frances Schwartz fielded from the children and young adults who read her first two books about slavery, If I Had Just Two Wings (Fitzhenry and Whiteside, 2002) and Send One Angel Down (Fitzhenry andWhiteside, 2005). Each is set, for the most part, in southwestern Ontario and tries to provide information about what happened to the many slaves who managed to break free from their owners, find guidance and protective safety on the Underground Railroad and finally, freedom for themselves and their families in the North. This third book is about Solomon, his grandfather and their friend Levi. It is summer in 1857 and our first glimpse of them is as hidden cargo on a wagon, which is traveling at night near the Canadian border. They have walked endless miles on the journey from their Georgia plantation. When they hear people passing them by while discussing Levi and the slavecatchers, they know they need a plan that will ensure safety for all three across the Canadian border. Together they flee, and seek safety in the woods while they formulate that plan. The action is fast-paced and the tension palpable for the carefully crafted characters. Each has a role to play, whether major or minor. They are filled with the passion needed to seek freedom, or to help those escaping slavery. We are made painfully aware of the racism, and of the lack of opportunities for schooling that faced these former slaves in their new home. The author has meticulously researched the time and the conditions; and she uses that research to tell her powerful and moving tale. In her 'Author's Notes' she shares with her readers the historical background gathered as she prepared to write her book. When they reach Buffalo Solomon is inspired by what appears to be equal opportunity for blacks alongside whites, but he is also aware that there are slavecatchers present. Buxton is the settlement that provides permanence and some sense of comfort for Solomon and Levi. Those familiar with Christopher Paul Curtis' tale called Elijah of Buxton (Scholastic, 2009) will recognize it as a safe haven for those seeking a better life. That life is not perfect. Solomon has recurring nightmares about his past, a load of worry about his grandfather who had to be left behind to recover from the arduous journey north, and his inability to concentrate on his school work. When the nightmares abate, and encouraging voices replace them, he is able to think about those he left behind him and find a way to ensure their freedom. In a 2004 interview in Canadian Materials, Virginia Frances Schwartz talked about her reasons for writing about slavery. She said that 'today's children need to revisit it. How can they analyze prejudice if they never understood slavery? They need to examine it because the racial and religious disharmony in our world today threatens to destroy us. Inside, we are all the same, but history has separated us.' True then, and true now. Such books help us identify with those who have lived lives so many cannot fathom. Perhaps by making a connection to compelling, courageous characters, that will change! to see what was next. Wow, if you are interested in what can be done with a perfect square, you need to sit yourself down and take a close look at this feast for the imagination. Michael Hall begins with a shape (square) and a color (red) and that truly is only the beginning. With each day that passes, he gives his square a new and wondrous possibility. At its inception, it is happy to be flat and square and red. Each day of the week brings an event that changes it forever. With each of these events, the square reinvents itself to become something entirely different, and quite unlike what it was on the previous day. 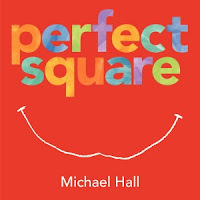 Michael Hall uses texture, color, and a healthy dose of originality to create this wonderful book with a little message for toddlers and for older children. Others might wail about each new lot in life, but not our square. It accepts each change as it comes, and seems better and wiser as the week winds down. Michael Hall recognizes that his readers will appreciate an ending that ties it all together. Do that he does, with panache. When life as it was is no longer enough, the square takes its destiny in hand and recreates itself to incorporate each of its new entities. The appeal of this book for me is not just about the bold and lovely artwork, I also appreciate the author's carefully chosen words. He uses a repetitive refrain, 'so it made itself into a', for young readers to find comfort in striking out on their own reading adventure. He never forgets those who will read and read and read it again...the children. brought a tear to his own eye." I saved this book to read last when I was doing the jury work for the Canadian Children's Book Centre this winter. I did it for good reason. I have NEVER been disappointed by Iain Lawrence's stellar writing. I wanted the final book to resonate with me, as we met for our last time as a group. What a splendid decision! Stories often have the power to shape our lives, and we also tell stories that define them. Iain Lawrence sets his tale in the 1950s at the height of the polio epidemic. He doesn't paint a pretty picture of the toll that this debilitating disease took on its victims, or their families. He writes a taut and fearful piece of historical fiction, and blends it with the fantasy world of Jimmy, his despicable father and the Wishman. "He was her hero: the second smartest man in the world. Only Santa Claus knew more than Laurie's father. He raised money for the March of Dimes, but she thought of him as some sort of soldier. He was always talking about fighting. "We're waging a war against polio," he would say. Or, "We've won the battle, but the fight goes on."" "Polio scares me to death, Laurie. I see all the children with braces and crutches. You see them too: the ones who'll never run again, the ones who'll never walk, the children in wheelchairs. Well, I see the ones in rocking beds, on treatment boards, in iron lungs. So many of them, and another thirty thousand every year. Can you imagine how it haunts them that they got polio just because they went into a swimming pool, or something as frivolous as that?" It is when Dickie contracts polio that Laurie learns much more about the disease that so terrifies her father. Dickie is in an iron lung, and shares a room with Carolyn and Chip. Carolyn's stay has been long and arduous, and she holds out little hope for her future. Chip is full of hope and has future goals in mind. While visiting with Dickie, Laurie begins a story meant to entertain and keep his mind off what he life has become. It is this story that forms the other focus for this amazing book of friendship, fear and finding a way to make life better a little bit at a time. As the story grows, so does the audience. They come on treatment boards, and in wheelchairs. Laurie tells her story and her listeners begin to see themselves within it. The story moves forward and life changes for everyone in the polio ward. Things do not always follow a welcome path; but, we are uplifted by what happens there between friends, sick or not. And so, my admiration for this man and his writing grows. I think he has another Governor General's Award on the horizon, and I fervently hope that I am right. This is a book worthy of many awards and much attention. I hope you will find your way to buying it, and then sharing it! "The story shifts back and forth between a grim reality and a fantasy that is perhaps a bit quirky. I found it hard sometimes to leave the world of Jimmy the Giant-Slayer and go back to iron lungs and paralyzed children. It was more fun to write about the imaginary place, where a woman without a name would put on lipstick before heading off to the swamp, where facts didn't matter much." It all matters, Mr. Lawrence....much! Bravo! When I read this book first I liked it. How can you not....it's Norton Jester and Jules Feiffer?! Then, I read it again and today I read it once more prior, to telling you about it. I LOVE it! And I am quite sure that I will only love it more the more that I read it. 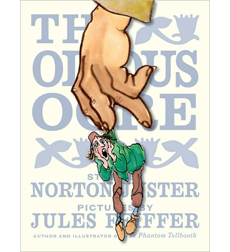 It's been 50 years since they collaborated on 'The Phantom Tollbooth'. Let's hope that they don't wait so long to do it again! With Juster's amazing ability with worplay and storytelling and Feiffer's energetic colorful artwork, you have a treat in store. It's size suggests the immensity of the ogre and his far-reaching reputation; and we quickly learn how people feel about him. "No one can resist me," he had to admit. "I am invulnerable, impregnable, insuperable, indefatigable, insurmountable." He let each satisfying word roll smoothly off his tongue. The Ogre did have quite an impressive vocabulary, due mainly to having inadvertently swallowed a dictionary while consuming the head librarian in one of the nearby towns." Norton Juster knows his audience is children and he trusts them to 'get' his tale about the powerful and the powerless, the greedy and the kind, the entitled and the unaware. He hasn't created a book to improve a child's vocabulary through study and testing. He has written a most engaging story of a pompous and grandiose man who meets his match one sunny day on a walk through the woods. ""Oh, you're not so terrible, " the girl insisted, with a lovely, musical laugh. "Overbearing perhaps, arrogant for sure, somewhat self-important, a little too mean and violent, I'm afraid, and a bit messy. Your shoes could certainly use a polishing, but I'll bet if you brushed your teeth, combed your hair, found some new clothes, and totally changed your attitude you'd be quite nice." When he cannot come to grips with what is happening...he throws a tantrum! Kids and parents will totally relate. The young woman even loves that display of emotion. The ogre is confounded by her reaction; so much so that he perishes. "She also understood that the terrible things that can happen when you come face-to-face with an Ogre can sometimes happen to the Ogre and not to you." It seems we can all take a lesson from Mr. Juster's+ wise words. the way I do on our walks in the woods." "It is a highly unusual collection - coming-of-age moments caught next to classics next to grieving, kitchen tables, Cinderella, dragons, and school periods." They range from the classic to the contemporary, and have a multicultural element. They are specifically chosen to mirror the feelings, emotions, events and issues of young adults. Some are meant to be read aloud with emotion and others have a more personal and solitary feel. The accompanying CD allows readers to hear many of the poems read by the poets themselves, offering a chance to hear the poem spoken as it was written. Readers are encouraged to listen, to try reading the poetry on their own and then perhaps to try their hand at making their own voices heard. Some end pages are left for personal attempts at giving voice to feelings and observations. This lovely, welcome book provides incentive and inspiration, humor and relief that others share many of the same experiences. And I'm afraid it's you. And I'm afraid it's you." Poetry is often ignored at home and in classrooms. Why? What is your experience with poetry? "We believe that poetry- more than any other genre - has the ability to delight, capture, and 'level the playing field' for readers and writers of all ages and abilities. We want kids to be able to hear a poem, read it if they wish, enjoy it and not have to pick it apart in a homework assignment. Hearing poetry is key to falling in love with it." Check out Poetry Tag Time and then get 30 poems in 30 days on your Kindle or other e-reader. It will be available on April 1. "I couldn't wait any longer! We'll have the greatest time!!! What fun I have had reading this to both children and adults! It will have a permanent space in my reading tote for some time to come. The response is similar with both...raucous laughter and an appeal to hear it again. This bug-eyed rabbit has some attitude; and an emotional bent. We are met with delight and a loud and hearty welcome. Maracas, a ukulele, cartwheels provide for our entertainment before the grumpy reprimand : "BUT WHERE WERE YOU?" long enough to gather dust bunnies." To add insult to injury, finding an grungy sweat sock in the haystack and a dust bunny that looks like Uncle Vinnie only makes matters worse. It's unfair, it's annoying, rude and awkward. A promise to stop asking abrupt questions about our whereabouts is made should a promise to stay be engineered. A written contract is offered. "And me? Well...you know, the usual, still hanging out in my picture book, waiting for a reader. Yes, one finally showed up! Yep, seems nice, no fleas, good steady page turner." When the images are so unmistakeably powerful, you need few words to narrate the story. 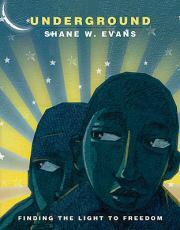 Shane W. Evans is able to evoke the suspense and fear that accompanies any who travel the Underground Railroad. We are able to watch over this furtive group of escapees as they make their way through the darkness by running, crawling, taking an occasional heart-stopping rest, staying in safe houses and silently persevering with freedom their goal. Darkness is their safety and all that shines throughout are the stars in the night sky and the whites of the runaways' eyes as they move endlessly toward freedom's light. The power of Evans' palette is striking..there is virtually no light until freedom is achieved. The warm yellow glow of a lantern has a distinctly different impact...one welcoming new friends, one announcing capture. There is so much to be seen within these pages. The persistent fear as the runaways begin their journey in darkness, the gruelling drama of the journey itself, the hopelessness of capture and the endless joy of light and emancipation. It is all here and so lovingly shared for a young audience. But, share it with older children, too. I am sure that the discussion will be powerful. "My name is Alvin Ho. I was born scared, and I am still scared. I never thought I'd live to see myself in another book, on account I could've very well died camping in that last one." Alvin is petrified to be taking part in a school field trip. Just imagine what might happen! The tour hosts, dressed as Ralph Waldo Emerson and Louisa May Alcott scare him, the graveyard terrifies him and just getting to the bathroom is a major challenge in his hyper-charged state. Read chapter one, and you are off on another grand adventure with Alvin in the lead. Nothing much has changed since we first met. Alvin still totes his PDK (Personal Disaster Kit) with him wherever he goes. He is still making lists that should make his life easier. He still needs help to guide him through the muddy waters of boy/girl relationships. He still looks to his dad for wise counsel when he is struggling with his many issues. Dad is always respectful of Alvin's foibles and helpful when everything looks bleak. Through it all, he remains a character that kids will relate to, and remember for his charm, his vulnerability and his voice. This is another of those books that have you wanting to share it immediately. If my kids were here, I would be reading lines aloud. I promise more laughter-filled moments and a growing love for the anxious, lovable Alvin Ho. LeUyen Pham's black and white illustrations are placed perfectly and add fun to the telling. I really love that words and art complement each other so seamlessly. hit the railing and can run no further. things were before the famine. "I dawdle the length of the ship to the hatch. The last one down the wooden steps. I glance back for one more look at the sky, the twinkling sky framed by the hatchway's darkness. Da used to take me to the top of the hill on nights like this, when the fishhook moon hangs from a net of stars. 'Tis as if he is standing here next to me now. "Don't be afraid of the dark, pet. For that's when the stars shine brightest." My glimmer of hope is like that, too. I told it tight. For without it, I'd be utterly lost." The ocean voyage is long, plagued by bad seas, the threat of typhoid fever spreading throughout the hold, absolute darkness and deplorable living conditions for so many passengers. Accompanied by abject sadness they undertake the journey to a new life in Upper Canada and when they arrive, they land at Grosse Ile, which has been set up as a quarantine station. Many have died or are dying, and Kit is frantic to find her Mam, her brother Jack and her sister Annie. When she does find Jack he is sick with typhus, and she learns that their mother has succumbed to the fever and Annie, a healthy arrival, has been sent to an orphanage for continued care. "I look past the wake to the shrinking wharf. Mick stands where I left him on it, still staring after the boat. We've been through so much this past year. Mick and I. Lost so much. Survived so much. I don't know what I would have done without him. Our paths have always intertwined and I just can't picture mine without his. I slowly raise my hand and Mick does the same. But I can't help wondering if I will ever see him again." Historical fiction, written with such energy and passion and having been so carefully researched, is often the best way to learn about our shared history. Kit is an amazing young woman with a tenacity and spirit that leads her from one adventure to the next one. She does not waver in her search, or give in to helplessness and hopelessness. She is always forward-facing and bent on bringing her family together. The love she has for them, and for her friend Mick, is what gives her the courage to move on despite life's many obstacles. She is a person who is worthy of our admiration. I long to meet her again! and the great debt they owed him." "Yeah, yeah, nearly getting eaten by a cannibalistic baker woman is bad. But not nearly as bad as what's to come." So much for the watered-down, happily ever after fairy tales that so many children know and love, without ever knowing the real fairy tales that have been told for centuries. I loved this book; but it is not for the faint of heart or for anyone who objects to violence and bloodthirsty revenge. If you like witty purposeful writing and dark humor, you are sure to be the right audience for another of those books that will find a place on my 'keepers' shelf. In connecting these unfamiliar tales while using the recognizable Hansel and Gretel as his protagonists, the author takes us on a circuitous, horrifying trek. He adds frequent narration, which is set apart from the story's text by bolding it. This element makes the story appear conversational, and immediate. What fun these tales would be to share in the intermediate/middle years classroom! They would also make for great dramatic performances. Using the original tales as a point of departure, Gidwitz makes them his own by adding and changing elements along the way. Nothing is serious here, but it is definitely brutal and barbaric. He offers up what's coming in each story's title...so we know what we must prepare ourselves to read them. humorous, frank and shrewd commentary. In Grimm's fairy tales bad things happened to good people and from those experiences came much learning. "What did all of this mean - these strange, scary, dark, grim tales? I told you already. I don't know. Besides, even if I did, I wouldn't tell you. You see, to find the brightest wisdom one must pass through the darkest zones. And through the darkest zones there can be no guide. No guide, that is, but courage." And, there is a happy ending! "There is a wisdom in children, a kind of knowing, a kind of believing, that we, as adults, do not have. There is a time when a kingdom needs its children." cave is just the thing. Do you have men in your life who can retain an enormous amount of learned information? It seems to intrigue them. Ask pertinent questions about family trivia, upcoming events, or past personal happenings and they seem confused and unaware. I often teased my husband that he didn't remember my birth date but he could remember the third shot on the 13th hole at Clear Lake in June 1987. How do they do that, and why can't I? I often can't remember the name of the main character in the book I just read; but, I can remember their character, how they relate to others, what they felt about this or that. It is a physiological thing, right? Boys and men often like their reading to be fact-filled. I think that the very best of that kind of reading comes from informative books that are fun to read. And, that is why I wanted to tell you about this book. Simon Eliot is in love with the gathering and sharing of information. He begins with a spider web...'the first complete world I ever saw.' As they are wont to do, the young who share information often flit from one bit to the next with no apparent connection. "It's a kind of cobweb of stuff. A lot of it I found out on the Web - that other world wide Web they say is big enough to hold all the world's information. The rest of the info in this book is a result of my own genius." You gotta love a kid with an interest that encompasses the world and who shows such self-confidence. It is this strong, humorous voice that pulls the reader through the plethora of factual information (with personal asides) written here. It works like a charm! It will appeal to a wide audience and provides a great model for young writers. 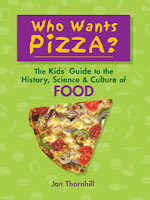 The range of topics discussed is as wide as the readers it will attract and includes the human body, inventions and inventors, junk food, clothing and more. The childlike sketches and captions that accompany many of the entries add authenticity to the voice, and further humor for readers. "This is a different kind of web to the one that I started the book with. Ducks have webbed feet. Some books create a web of intrigue. You can create your own web. Be curious and follow your nose. You will be surprised where it leads and all the stuff you find out. After you've collected your information: join the dots. And hey presto! You've created your own web." ink, sheep singing sea shanties. For some strange reason, it took me a long time to get to reading this fine book by the celebrated and very accomplished Sarah Ellis. I had read about it, I knew it was shortlisted for the Governor General's Literary Award in English for Children in 2003 and you would think that I would have taken the time then to sit back, relax and savor her story. I did not. But, it's never too late in books, and life to make up for past mistakes. "Breathing stopped all over the room. A summons to the headmaster could cause many a stomach to come loose from its moorings. But Otherjack stood up looking as calm as a pudding." Jack has no cause for concern. He is twelve and trouble has not yet darkened his door. Little does he know that the headmaster's presented opportunity will change all that. Jack is offered a position as apprentice to a bookkeeper. It is his way out of the orphanage and on to living a new life. It sounds exciting and purposeful. It takes no time for Jack to discover that he has no love of or gift for numbers, columns and all that this new learning entails. It seems his only recourse is to leave and seek a life beyond the bookkeeper's office. As he travels he learns much about the outside world and his place within it. He is spirited and shrewd, and is quick to realize that his many long, lonely nights at the orphanage have provided a skill that bodes well for him and his life in the larger world. 'He picked up his dictionary and began to flip. Vicissitude. A change in fortune." "That's for the nonsense peddler. He's got all kinds of nonsense - absurdity, folly, trash, moonshine, twaddle, drivel, claptrap, bosh, balderdash, gobbledygook -"
"Flitters and fetchers and friends, said Jack to himself. That's the life of a wandering boy." "Nightshirts and nightcaps, he said to himself as he dozed off. That's the life of a family man." Wouldn't you love to know Jack? You need to read this wonderful book! Zed had arrived and departed. to scare off some bad guys. Gary Paulsen has found great success as a writer of madcap comedy. Some of my favorite books are Harris and Me, How Angel Peterson Got His Name, and the zany Lawn Boy. Well, Lawn Boy is back and with him come all the troubles that ailed him in his first adventure...only more so! Friendship, fighting and finance are at the heart of his engaging and fast-paced romp. Along the way, Lawn Boy learns some harsh lessons and emerges better for the learning. Nothing threatens his life, as might happen in so many of Paulsen's other books. But, that doesn't mean there aren't obstacles placed in his way. This book picks up where the first left off. As his net worth increases so do the problems inherent in running a growing empire. He has staff to support, a fighter to protect, a very busy working life and now...lawyers, accountants, a publicist, the IRS, mobsters and an unwelcome yard guest named Zed. That's where his friends come in; from Arnold the stock broker to Grandma the kidney-punching fight aficionado. Every character has character and each can be counted on when the going gets tough. There is so much fun packed into this short, funny novel! Gary Paulsen is a boy at heart, and he seems to get to the heart of those twelve-year-old adventurers that he so aptly creates for our enjoyment:. This book abounds with humor, but it also has heart and a Grandma who teaches quiet lessons that stick. Awake in the middle of the night with the sniffling and sneezing of a cold, I was able to distract attention from my 'poor' me and read about Harper Lee and her family. They are living a hardscrabble life, the victims of circumstances beyond their control. Harper has a younger brother Hemingway and a mother who works too hard, but cannot make ends meet. Their father left them, following a fight fueled by whiskey, a year ago and now, it was just the three of them. Harper loves school and is sure that this year she will be able to participate in the poetry contest there. Writing is as natural to Harper as it is to her mother. They have a knack for putting their feelings into words and getting it down on paper. Both have been ridiculed by Harper's father. Neither has stopped writing although Harper's mother has little time for it anymore. Just before she is to register for the contest, the family is thrown out of their rental home and school is no longer a possibility. They have moved before; and now Harper's mother moves them to an old hotel nearby. Because Mama has to take another job to help pay the bills, Harper must stay home with Hem. Never one to fall into despair, Harper and Hem meet new friends, with difficulties of their own. Randall and Lorraine live nearby and are worth getting to know. Lorraine doesn't speak, the result of the devastating trauma of a fire. She and Harper like each other immediately. Randall and Hem have common interests and they all grow to love Dorothy, an old woman who owns the property around the motel. Each of the well-drawn characters has had to deal with great sadness and heartache. The plight of the homeless is evident...people working hard and not able to make any progress. Not enough food, an uncertain future, and a lack of the basic amenities make their days difficult but Harper remains positive and helpful as the family struggles to deal with their lot in life. Compelling and often full of heartache, this is a story that helps its readers believe in the goodness in people and leaves them feeling hopeful about the future for Harper and her family. poisonous puzzles. But be warned!" "Should you choose to continue reading, slip on a lab coat. Invest in good protective eyewear. And step into the world of ancient alchemists and modern scientists, those who delve into the mysteries of Earth's most murderous chemicals. You have been warned." Really???? What kid wouldn't want to find out more after a warning like that? "Even in Australia, with more than 60 poisonous species of snakes, only a few people die each year from snake bites. People are more likely to be killed by lightning." I love the humor that she uses in the telling, and the ways she connects so much of her research to the reader. She tells of Japanese diners who see eating puffer fish as a 'dinner table badge of courage' because of the danger...and 50 of them die each year. You won't have to worry about me trying fugu. Before moving on to the next section, she poses a puzzle, providing clues that have to do with what has been learned and giving the answer (just to prove the reader was right in detecting the problem). "In the 1950s, the use of DDT almost eradicated bedbugs in industrialized nations. Today, the bugs are back! Outbreaks have plagued New York City retail stores, Canadian universities, New Zealand hotels, and homes around the world." Isn't that the truth?? I cannot finish without mentioning the very apt and oh, so funny illustrations done by Ross Kinnaird. Filled with venom themselves and so much humor, they add another dimension to this most engaging nonfiction book. Sure to strike a chord with many intermediate and middle years readers, this would be a welcome addition to personal and classroom libraries. more than 18,000 a year! "What can bend and twist, feel firm and soft, be fuzzy and smooth, feel pain and pleasure, make noise on the inside and stay silent on the outside, all at the same time?" "As you know regular ices melts into water, but frozen carbon dioxide melts straight from a solid into a thick, cloudy gas, without becoming a liquid in between. Dry ice is so cold it burns if you handle it without gloves. But it's fun to watch in rock videos and -ta da!- magic shows." "Sound travels through the air as vibrations. When the vibrating air touches your ear drum and sets it vibrating, you hear the sound. There is no air in space for sound waves to travel on, so space is totally silent." "If your cat yawns around you, don't be insulted. All it's saying is "I'm relaxed around you." Yawn back or blink slowly and you'll give your cat the same message." that was first made in Ethiopia. mogogo and baked over a fire." This is the fourth book in this wonderful and informative series. 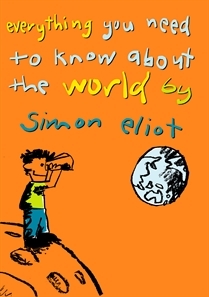 Our knowledge of the world is heightened when we share books such as these with our children. I am in awe of the things that people think about and the 'amazing innovations' that they develop over time. 'there are many things I miss from my life in Africa: the beautiful natural landscapes, the night sky filled with bright stars, the way the moon seemed to smile down on me, and the wonderful hospitality of the African people." In sharing so much of her beloved continent, she hopes that we will come to know why she loves and misses it so much. Richard Lee lived and worked in Botswana in the early 1960s and has made Africa the center of his life's work. Both authors convey their love and respect for the land and its people. Two opening maps show the African countries and then the topography, including the Sahara, the Kalahari, the Nile and Niger Rivers...all helpful in keeping the reader connected geographically to the written text. In two to four page spreads they include detailed descriptions, with clear and colorful photographs, of hunting, agriculture, architecture, metalworks, medicine and healing, arts and crafts, communication, food, music and sports. In the final section, before the back matter that includes a timeline, further reading and a useful index, the authors provide a brief look at Africa today. They share their thoughts on tourism, the environment, and some of Africa's world leaders...Kofi Annan, Mohamed ElBaradei, Wangari Maathai and Nelson Mandela. 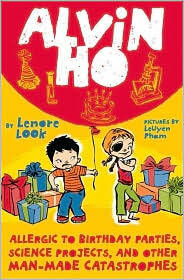 This is just the kind of book that kids love to read...quick, punchy information about themselves. 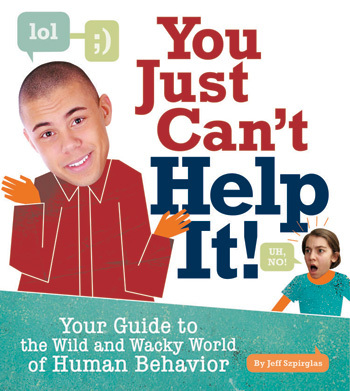 This is a guide to 'the wild and wacky world of behavior' and we all know that behavior can indeed be both of those things. "It meant a few years of scouring the Internet, afternoons spent thumbing through thick academic journals in dusty old libraries, and tracking down experts from around the globe by phone and email." There are four chapters, dealing with the senses, emotions, communication and interaction. Each provides an introduction and then a series of text boxes which talk about the chapter's subject. There are bits of trivia, funny questions, suggestions for activities to try, and a 'cool study' which documents a question asked and answered in a published experiment. The format is question, observation, results and summary. 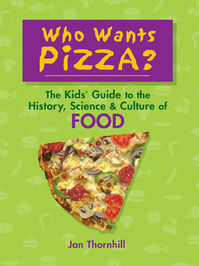 Filled with fun and food for thought, this is a book that will be shared friend to friend throughout the reading. I can hear it: "hey, did you know that holding a smile for a long time probably means it's fake?" Or "laughing isn't something you learn from your parents. It's something humans do automatically. And laughter works best when it's shared." This is another in the I Am Canada series. Although it is a hardcover copy, its size makes it feel like a paperback and that size will appeal to its target audience...the intermediate/middle years boy. The fact that it is historical, and about World War I is sure to add interest. Allan McBride was looking for the travel and adventure that lures so many young men when he signed up with the Canadian Army. His friend Ken inspired that action because Allan admired his bravery and leadership. Now, as he awaits his death by firing squad for desertion during combat, he shares his story with his guard.
" I wrote home about this scene at great length, but never mentioned that, the week after New Year's, Neil had had his brains smeared over the trench wall by a sniper. I was doing in my letters home exactly what Ken had done in his letters to me. It is simply not possible to describe Hell to those who have not been there." "I thought being a deserter was a possibility because I had seen some symptoms in you that I recognized - the occasional twitch, the inability to sleep, the faraway look in the eyes. I knew if you were a deserter it was because you were sick, like I was. You don't have to worry anymore, Allan. I'll get you some help." Once back he is hailed as a hero. Still, he is a deserter. There are consequences for such action. As he awaits his punishment, the reader has no idea if there will be a reprieve. 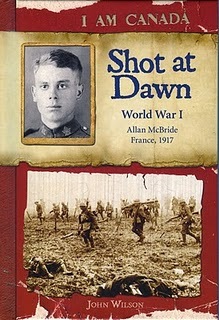 Is there a chance that Allan will be 'shot at dawn'? Jake is ten. His Dad died when Jake was very young and since then, it's been Jake and his mom. They take care of themselves and each other, with occasional help from their very good friends. Jake has one grandparent, his father's father with whom he speaks on the phone twice each year. What he hasn't known, he doesn't miss. After karate class one wintry Saturday morning, Jake and his mom make a stop for the week's groceries. In the treacherously icy parking lot, Jake's mom falls and breaks her leg. She is taken to hospital where it is determined that she must have surgery. Someone needs to take care of Jake. Neither his mom's sister or her best friend are available, so the unbending, protocol-driven social worker calls Jake's grandfather. He arrives quickly and much of the tension of not knowing each other is palpably evident. It takes time, support and understanding for Jake and Grandad to begin to form a familial bond. Audrey Couloumbis has created a strong family story, with credible characters who have a lot of heart and wisdom. The voices are strong, and the humor evident. This is an intermediate novel that would make an entertaining and most enjoyable read for home, or for the classroom. Exposed, written by Kimberly Marcus. at all the grass yet to be mowed." I had a plan to watch curling, reading this new book only while the endless commercials ran. When I looked up to see that they were already in the sixth end, tied at three, I was on page 171 and didn't want to stop to pour my next cup of tea. How does that happen? I'll tell you...you get an amazing book in your hands and the world falls away while you get caught up in the drama that is hidden there. And drama there is, and love, and friendship, and loss of innocence, and loyalty, and uncertainty, and support, and heartache. I haven't even told you about Liz and Kate, about Mike and Brian and the minor set of characters who have a role to play in this stunning debut novel. Liz and Kate are forever-best friends...nothing gets in the way of their Saturday Night Slumber. It is a tradition. They tell each other everything and sometimes too much. That's what happens at the latest sleepover. Liz speaks out about some of the decisions Kate is planning to make. It's once too often for Kate. She's mad, then Liz is mad and off she goes to bed on her own, leaving Kate to sleep on the couch. When she awakens in the morning Kate has gone and nothing Liz says, over the course of the coming days and weeks, makes a difference to the gulf that separates them. the last thing she wants is a pity party. take her hand, pull her away. But I didn't make the guest list." make me want to know more." "Who will be her maid of honor? Which friend will hold her baby first? I still have tears in my eyes. Realistic and powerful, it will find a place on my 'keepers' shelf and it will be endlessly shared. Bravo, Kimberly. have to tell my story. And it the right order." 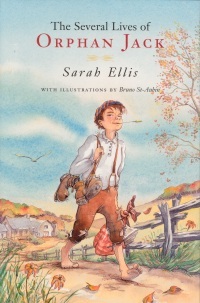 "The Batchelder Award is a citation awarded to an American publisher for a children's book considered to be the most outstanding of those books originally published in a language other than English in a country other than the United States, and subsequently translated into English and published in the United States". your interest? I hope so...you won't be sorry. It is a great read! It is also very emotional and heartbreaking, but it has such moments of sweetness and wisdom. Gloria regales Blaise (whom she also calls Koumail) nightly with the story of how they came to be together. Gloria lived with her family in the Republic of Georgia and was picking apples when she heard a train derail and ran to see if she could be of any help. There she found a young woman with a baby, and the mother was dying. Gloria took the baby and his papers and has taken care of him since the Terrible Accident. When he is seven, the Soviet Union collapses and there is nothing for the two of them to do but flee. It is the beginning of a long and arduous journey peopled with wondrous supporters and mean-spirited users. 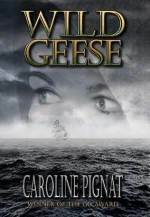 Through it all, Gloria pushes them towards France and freedom, a better life for the boy she loves and for herself. "In my mind, war looks like a ferocious and famished beast hiding in the nooks of the mountains and the dark forests shown on page 79 of my green atlas. I put my finger on the winding roads and imagine the unavoidable advance of armies looking for one another. Bombs crush and rip villages open. War chases families away, destroys pasturelands, gobbles up soldiers. It is ferocious." "So as my tears run down my cheeks, I promise her that I will live my life the way she taught me to. I will always walk straight ahead toward new horizons." I got the news recently that burn has been nominated for CLA Book of the Year! What glorious and well-deserved news that is. It was one of the books that we read this winter for the CCBC Best Books for Kids and Teens junior fiction jury and we all loved it. I have read it twice now (I rarely have time to do that) and it lost none of its impact the second time around. I have a clearer picture of Casey and the pressures she is facing, the conflicts that result from events beyond her control and the resulting grief she feels for her loss. When Casey was young and her mother went on a music tour, Casey always went with her. Now, she is married again and has a new daughter. The pull of her music has not subsided despite her dramatically changed circumstances; and one day, she can't ignore it any longer. She makes the decision to leave the family and try her hand at a new album. Casey, at eleven, is left to keep things normal at home. No one calms Ginny in the same way that their mother can; but, Casey does all in her power to keep her autistic sister's world orderly and without upsets. John, her stepfather, can barely control his own grief, using his restaurant as the excuse for not being home and alcohol to dull the pain. Casey trusts that her mother will soon be home. When she doesn't Casey takes action. To let her know how much she is needed, Casey lights fires in hopes that the smoke signals will reach her mother and warn her that things with the family are not good. As her anxiety grows, Casey finds herself less able to hide behind the many household chores and the continual care for a demanding autistic sister that she undertakes in an effort to prove herself worthy. She is so real and vivid, painted with wondrous words and aching for our support and understanding. Ginny is defined by her autism; but the author pens her obsessive behaviors with sympathy and often with humor. Casey's mother is caught in a trap of her own making and cannot face the prospect of living the rest of her life without her music. The stepfather John sees his role as providing for the girls, working hard at his restaurant and thus, avoiding the uncomfortable responsibilities of fatherhood. 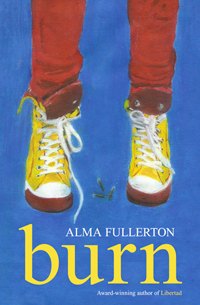 Using free verse as her paintbrush Alma Fullerton gifts us with these unforgettable characters and a story that will resonate with all who read it. Original and heartwarming, this is a book that should be shared or read with all middle and high school students. wake, and everyone's ears to ache!" My gosh! It's been sixteen years since I first met Swamp Angel and I have missed her! She was a wonderful character then and remains so. This is another tall tale with luscious writing and artwork...what a tremendous collaboration! Anne Isaacs clearly has a way with words and Paul Zelinsky uses oil paints on a variety of woods to bring Angelica Longrider back to glorious life. Angelica is a wonder of a woman, caring and kind, huge and hemmed-in by the borders of Tennessee. She needs open spaces and settles on Montana to provide them. Once settled, she sets about making the place her own, taming a dust storm into the spirited steed she has always dreamed of riding. When Backward Bart and his band of worthless hooligans terrorize and rob her neighbors, Swamp Angel sets out to show them who's boss. Dust Devil is the ace up her sleeve in her quest to tame their wild ways. "Pretty soon all her neighbors wanted a mountain. So Angel grabbed an armful and planted mountains one by one on the prairie. "That's a beaut", she'd say proudly every time she set one down. And to this day, every stand-alone peak in Montana is called a butte." "And there, in the middle of the whirlwind, was a giant horse, bucking and wheeling and neighing like fury! Every time he struck his hooves together, bolts of lightning shot out." It's a story about a scheming gang of miserable men whose leader is 'half rattlesnake, half badger, and half mad hornet'. The young woman and her handsome horse set themselves on a journey to capture the Flying Desperadoes and bring them back to Billings and the 'single-starred, double-barred, triple-guard jail'. Turns out she is just the woman for the job! Yes, it's funny; and the humor of the words is matched page by page by the humor created in the detailed, brightly colored artwork. The two work perfectly to create a most entertaining readaloud for one, or for a classroom full of captivated listeners. It's a keeper!